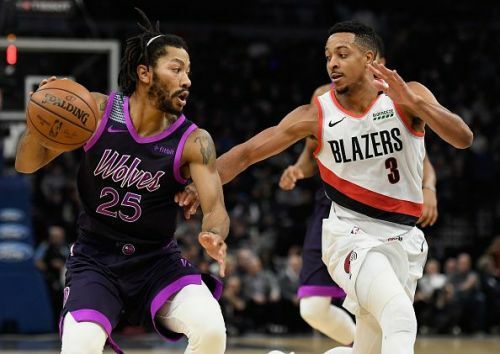 Portland Trail Blazers will host the Minnesota Timberwolves tonight at the Moda Center in Portland. Blazers are coming off a victory against the Phoenix Suns, whereas Timberwolves won their previous match against the Charlotte Hornets. Blazers won their last game against the Suns which ended their three-game losing streak. They have looked good throughout the season till now but fell into a small slump recently. With the victory against Suns, they surely would have got some confidence in their bag. However, they have dropped to the fifteenth position in the "points allowed per game" rankings in the NBA which is a big concern for them. They are also letting a lot of three-point shooters shoot at their will which needs to stop if they want to go ahead strong. Jake Layman was a surprise package in the last match and scored career-high 24 points. Blazers will be hoping he continues this performance if Cj is not available for tonight. Timberwolves are on a big run this season and are looking strong contenders. They have won their last two games against the Hornets and the Rockets by a considerable margin. They have defensively become one of the strongest teams in the NBA, and with additions of Robert Covington and Dario Saric, they have improved to 13-12 for the season. Karl-Anthony Town has been dominating inside as well as knocking down three-pointers. Derrick Rose is revived and has given huge support from the bench. This Timberwolves team is producing some great basketball and will make life tough for the Blazers at their home. Both sides have faced each other twice last month and have won once at their respective homes. Wolves beat Blazers in the match that happened after Jimmy Butler was traded, and we all know what kind of team Wolves have become after the addition of Robert Covington. Robert Covington and the Timberwolves are too much for this Blazers on the defensive end especially if CJ does not play today. Karl-Anthony Town will dominate the paint against them which will give other players some spacing to execute their game. The score is 1-1 in terms of head-to-head for this season and the Timberwolves have the best chance of taking the lead.